This paper proposes possible new energy sources. One of these sources can be the “energy from stars”. 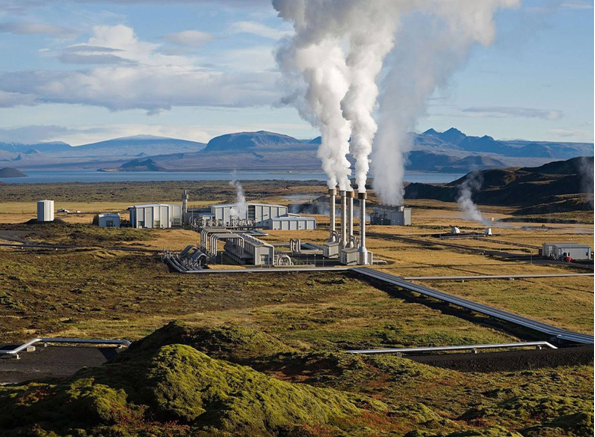 Energy development is the effort to provide sufficient primary energy sources and secondary energy forms for supply, cost, impact on air pollution and water pollution, mitigation of climate change with renewable energy. Technologically advanced societies have become increasingly dependent on external energy sources for transportation, the production of many manufactured goods, and the delivery of energy services. All terrestrial energy sources except nuclear, geothermal and tidal are from current solar source or from fossil remains of plant and animal life that relied directly and indirectly upon sunlight, respectively. After 1950, began to appear nuclear fission plants. The fission energy was a necessary evil. In this mode it stretched the oil life, avoiding an energy crisis. Even so, the energy obtained from oil represents about 66% of all energy used. At this rate of use of oil, it will be consumed in about 40 years. 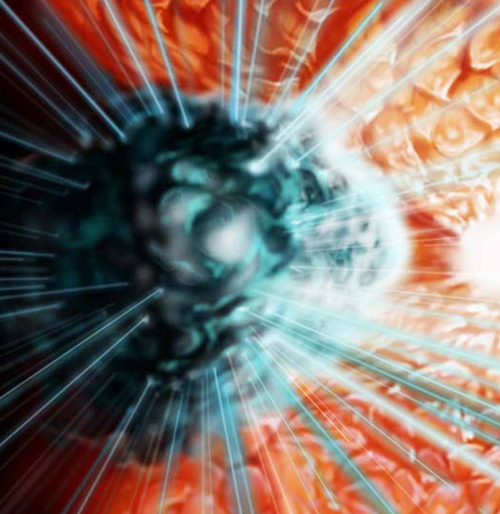 Today, the production of energy obtained by nuclear fusion is not yet perfect prepared. But time passes quickly. We must rush to implement of the additional sources of energy already known, but and find new energy sources. In these circumstances this paper comes to proposing possible new energy sources. One of these sources may be "the energy from stars”. 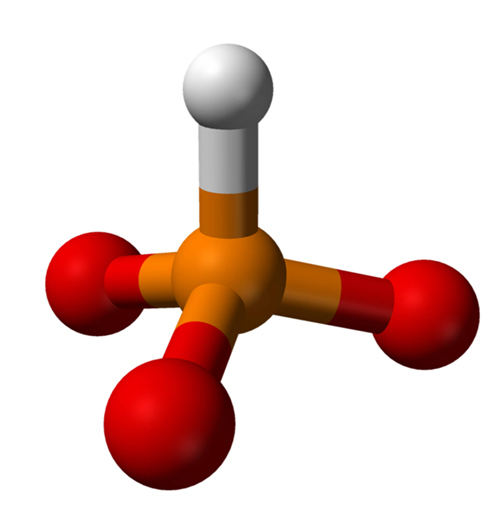 An obscure compound known as pyrophosphite could have been a source of energy that allowed the first life on Earth to form (Fig. 1) (New Theory for Life’s First Energy Source, Corey Zah). Animal and human cell contain and this small structure named mitochondria. In Fig. 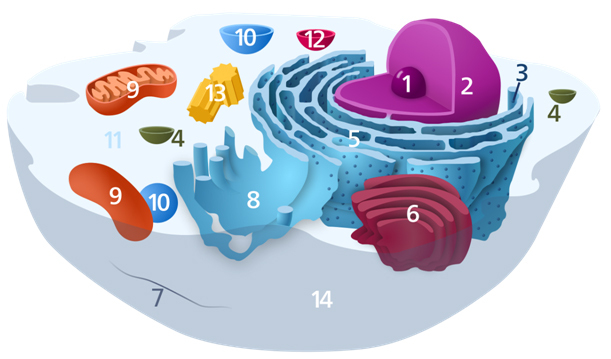 2 one can see an animal cell who contains and mitochondrias (elements 9). ("Animal Cell" by Kelvinsong - Own work. Licensed under CC0 via Wikimedia Commons). Human mitochondrial genetics is the study of the genetics of the DNA contained in human mitochondria. Mitochondria are small structures in cells that generate energy for the cell to use, and are hence referred to as the "powerhouses" of the cell (Fig. 3) (Mitochondrion mini.svg, By Kelvinsong - Own work [CC0], via Wikimedia Commons). Airflows can be used to run wind turbines. Modern wind turbines range from around 600 kW to 5 MW of rated power, although turbines with rated output of 1.5–3 MW have become the most common for commercial use; the power output of a turbine is a function of the cube of the wind speed, so as wind speed increases, power output increases dramatically (Fig. 4). Typical capacity factors are 20-40%, with values at the upper end of the range in particularly favorable sites (European Wind Energy Association). Wind energy is the cleanest and sufficient, the safest, cheapest and most sustainable. 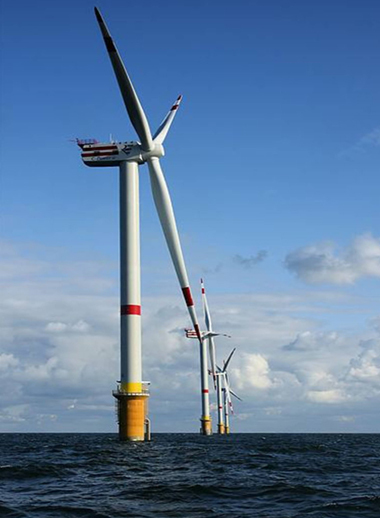 Where land space is not enough, wind farms can be built and in the water. We must put the wind to work. 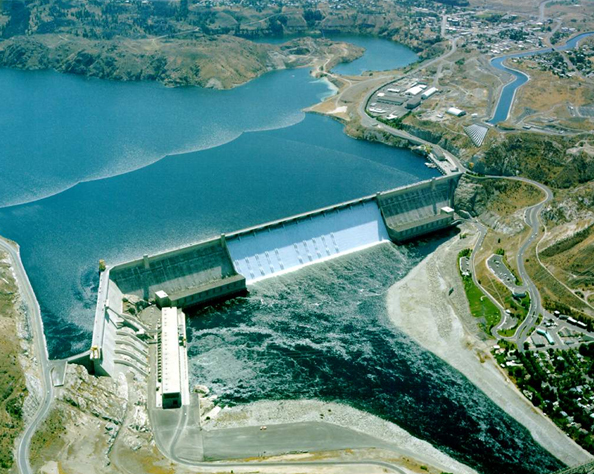 Among sources of renewable energy, hydroelectric plants have the advantages of being long-lived (many existing plants have operated for more than 100 years). Also, hydroelectric plants are clean and have few emissions (Fig. 5). Solar technologies are broadly characterized as either passive solar or active solar depending on the way they capture, convert and distribute solar energy. Active solar techniques include the use of photovoltaic panels and solar thermal collectors to harness the energy. Passive solar techniques include orienting a building to the Sun, selecting materials with favorable thermal mass or light dispersing properties, and designing spaces that naturally circulate air (Fig. 6). The two most prominent areas for this in the United States are in the Yellowstone basin and in northern California (Fig. 7). 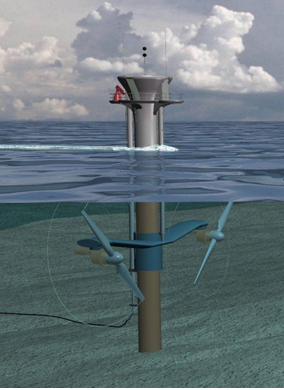 Tidal power can be extracted from Moon-gravity-powered tides by locating a water turbine in a tidal current, or by building impoundment pond dams that admit-or-release water through a turbine (Fig. 8). 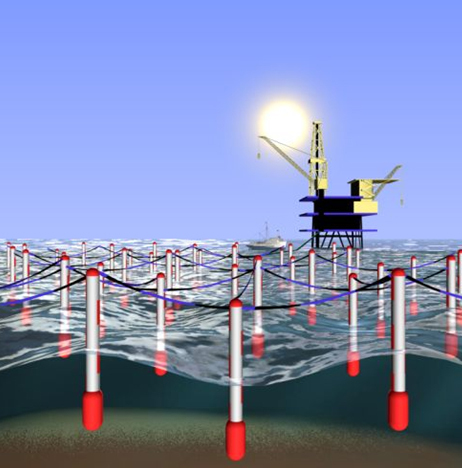 Waves Power is a new energy source (see Fig. 9). In the figure 10 we can see how a large amount of energy is transmitted to long distances with low losses, naturally, because is emitted by a sun (a star) in concentrated form, with natural lasers. This is exactly what should we do. This sun strange and extremely rare in Universe shows us what we need to do. In the next figure (see fig. 11) one can see the exact position of our planet in our solar system. It can see as well how the sun's energy is diluted when the distance from sun grows. After 1950, began to appear nuclear fission plants. The fission energy was a necessary evil. In this mode it stretched the oil life, avoiding an energy crisis. Even so, the energy obtained from oil represents about 66% of all energy used. At this rate of use of oil, it will be consumed in about 40 years. Today, the production of energy obtained by nuclear fusion is not yet perfect prepared. But time passes quickly. 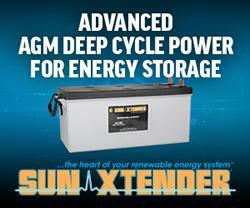 We must rush to implement of the additional sources of energy already known, but also find new energy sources.